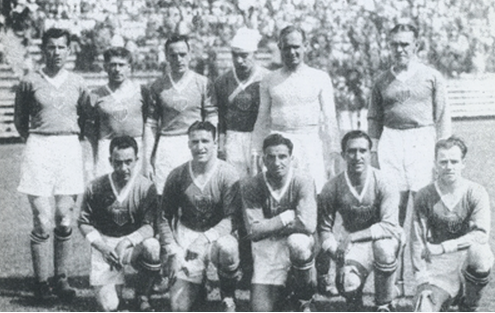 Aldo “Buff” Donelli’s quartet of goals in the one-off playoff game against Mexico powered the US to a berth in the 1934 World Cup. 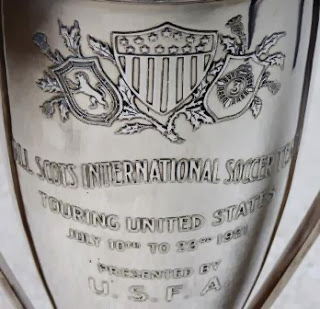 It would 46 years before the US would defeat Mexico again. 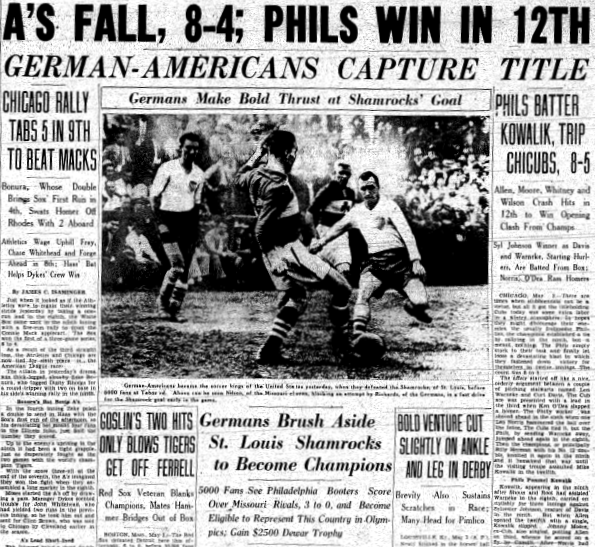 On May 3, 1936, Philadelphia German Americans became the first amateur team, and the first team from the city of Philadelphia, to win the US Open Cup. 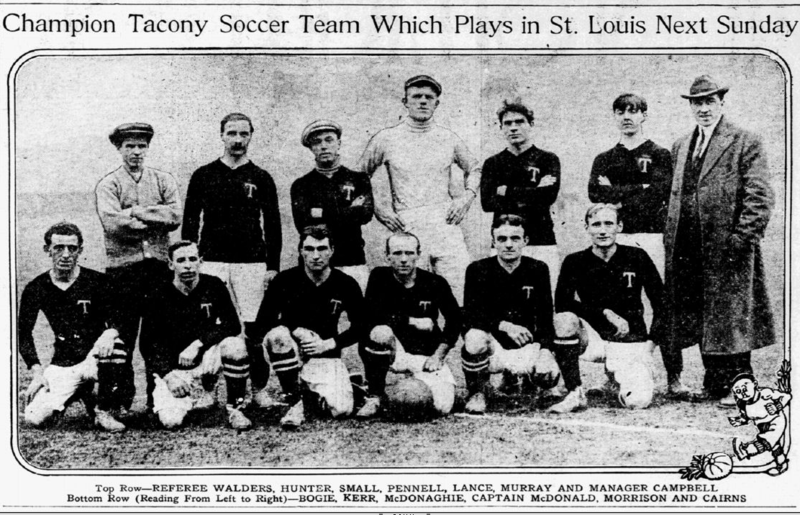 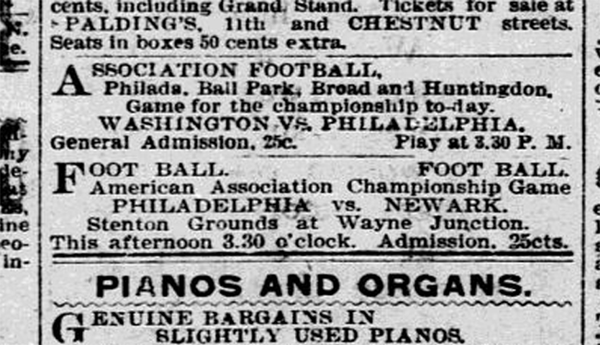 Tacony FC’s trip to St. Louis in December of 1911 to decide the “championship of America” had ended in disappointment. 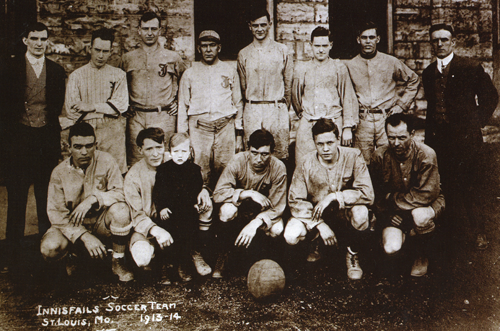 They would have a chance for revenge in March of 1912 when the St. Leos team of St. Louis embarked on a tour against leading East Coast teams.